If you decide that you want your business to be owned and operated by several individuals, you many want to consider setting up this kind of business structure. Partnerships come in two different types: general and limited partnerships. General partnerships manage the company and assume the responsibility for the partnership’s obligations and debts. Limited partnerships have both limited and general partners. The limited partners serve as investors only, while the general partners own and operate the business and assume the liability for the partnership. The limited partners have no control whatsoever over the actual company, and therefore are not subject to the same liabilities as the other partners, the general partners. A limited partnership is generally not the best choice for new businesses, mainly because of the required documents, filing, and administrative complexities. If you have more than two partners who wish to be more active in the business, a general partnership is the right choice, and much easier to form. A major upside to partnerships is the tax benefits. A partnership does not have to pay taxes on its income but “passes through” any profits or losses to the individual partners. When it comes to filing taxes, each partner will file a Schedule K-1 form which indicates his/her share of partnership income, as well as deductions and tax credits. In addition to this, every partner is required to report profits from the partnership on his/her personal tax return. And even though the partnership pays no income tax, it must compute its income and report it on Form 1065, which is a separate informational return. A major concern is personal liability if you choose to use a general partnership as your business structure. As with sole proprietorships, general partners are personally responsible for the obligations and debts of the partnership. For more information regarding the tax side of a partnerships, visit the IRS website. When starting a business with a partner, you still need to protect yourself. You can do this with a written partnership agreement, which can help guide you when and if questions arise. It may be difficult to talk about problems, but getting them taken care of at the earliest opportunity is when they should be handled. What is the investment of each partner? Is one partner investing cash while the other invests energy? Is there any equipment that the partners own that will be used in the business, and does that deserve any type of consideration as part of start-up investments? What are the partners responsible for and what are their duties? Make sure to be specific about the day-to-day duties and roles of each partner. How long will a partner get a share of the profits if he/she should become disabled? And what would you do if a partner dies; what happens to their shares? Handle this issue with insurance for each partner. What do you do if a partner wants to withdraw? In this instance, you would set up a buyout agreement. But, you may want to work out these terms before this type of situation even arises. How will you restrict partnership-interest transfers? Can a partner pledge his or her interest as collateral for a loan? How will any conflicts be resolved? 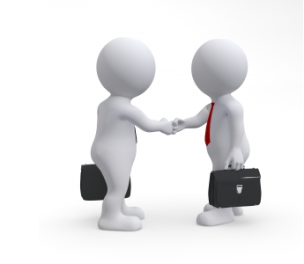 A good drawn partnership agreement can help to resolve any future problems and keep you protected for what lies ahead.